Geography: Scotland, Central Scotland. Part of the North Lanarkshire council area. Main population centres: Motherwell, Wishaw. Profile: Motherwell used to be the home to the huge Ravenscraig steelworks, the largest steel mill in western Europe which dominated the area, both in economic terms and in its looming physical prescence. The closure of the plant and the other industries here that relied upon it dealt a major blow to the economy, although the steel plate works continue at Dalzell and new industries and call centres have since sprung up. The former site of the steelworks became the largest brownfield site in the country and is being developed as the new town of Ravenscraig. Politics: The seat has a notable role in history as the first seat ever won by the SNP. At the tail end of the second war world the SNP took the seat in a by-election held during the wartime truce, when the major political parties did not contest by-elections held by the coalition parties. They only held the seat for a few months before losing it again at the 1945 general election and this seat would return to being a safe Labour seat until the SNP landslide seventy years later. MARION FELLOWS (SNP) North Lanarkshire councillor. Contested Motherwell and Wishaw 2010. First elected as MP for Motherwell & Wishaw in 2015. MEGHAN GALLACHER (Conservative) Educated at University of the West of Scotland. FRANK ROY (Labour) Born 1958, Motherwell. Steelworker. MP for Motherwell and Wishaw 1997 to 2015. Government whip 2005-2010. NEIL WILSON (UKIP) Born Motherwell. Contract manager and former serviceman. MARION FELLOWS (SNP) North Lanarkshire councillor. Contested Motherwell and Wishaw 2010. Snooker player John Higgins comes from Wishaw. 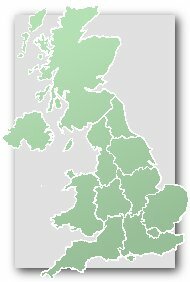 Is there not a snooker anorak’s website where that extremely interesting information might be more welcomed by other users than on here? No there isn’t. Of course naturally most snooker fans already know that anyway. I just thought seeing as this seat has no comments, I would mention one of its most famous people. It’s a big stretch to describe John Higgins as a famous person. There must be far more famous and interesting people from Motherwell & Wishaw than him. He was certainly highly featured in the news three years ago when he was suspended for attempting to fix a match. Also he is a three times Snooker World Champion, so I would say that is worthy of being famous enough in itself. John Higgins is certainly better-known than some of the other players that TheResults has regaled us with. It would be odd if all the famous people that came from Wishaw voted for parties other than Labour – perhaps they do? Very poor SNP result. UKIP quite good for what should be awful for them.